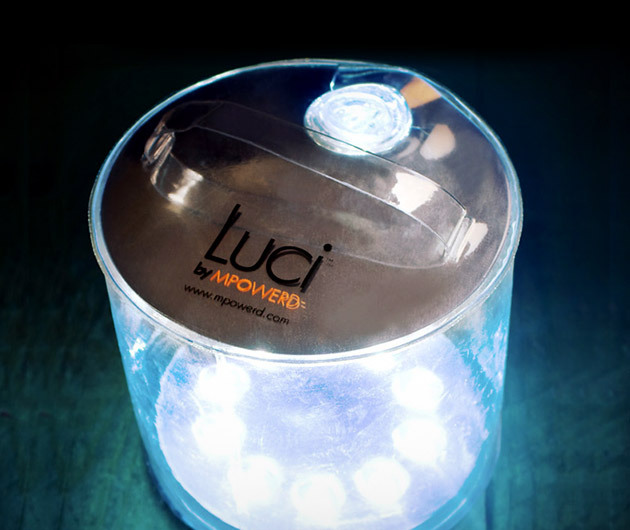 Lightweight, waterproof and totally portable, the MPOWERED Luci Inflatable Lantern is just the ticket for those who love the outdoors. A task light, flash light and diffused lantern in one blow-up package, it's even eco-friendly to boot. Incorporates both a rechargeable lithium-ion battery and highly-efficient solar panel that will give you up to half a day's worth of light and part of the company's profits are sent to help the developing world. Respect.